A special investigation by the state auditor’s office found the former superintendent of a southwest Iowa school had asked to be reimbursed for trips he didn’t take. 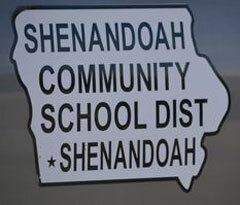 Jeff Hiser was hired to be superintendent of schools in Shenandoah in 2011. The Shenandoah School Board fired him in November of last year after allegations of fraud surfaced. The state auditor’s office reviewed 26 months of district financial records and found nearly $1200 in unsupported reimbursements. The state auditor reports Hiser “claimed mileage for events which he did not attend” and for days it was recorded he had taken vacation. In addition, auditors believe Hiser drove a school vehicle to one event, but then submitted a claim for mileage in his personal vehicle for the same trip. Hiser has been a fixture in Shenandoah’s public sector for years. He was a member of the city council and had served as Shenandoah’s mayor. He has been a volunteer firefighter and a part-time police officer as well. The state auditor’s report has been filed with the local prosecutor, the county attorney, and the state attorney general who is the chief prosecutor at the state level. Hiser is a 1982 graduate of Shenandoah High School. He was a principal in Perry and Stanton before he returned to Shenandoah schools in 2007.